Help your children learn about the true meaning of Christmas with our Silent Night, Holy Night Collection. All the gifts in this wonderful collection contain exclusive, full-color artwork and are sure to be a hit with kids of all ages. 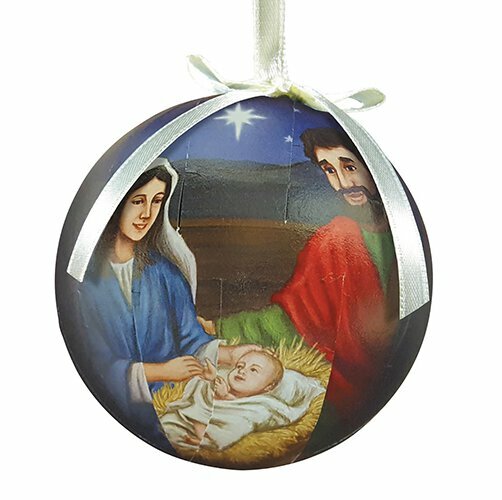 This decoupage ornament makes for a great gift or give-away during the Christmas season. Includes a ribbon hanger and comes gift boxed. Silent Night, Holy Night Collection includes matching items B3876 - B3890.